I think this is a surprisingly good card. Molten Reflection, but it silences a minion? Purify intensifies. Kinda slow I feel, but has potential. 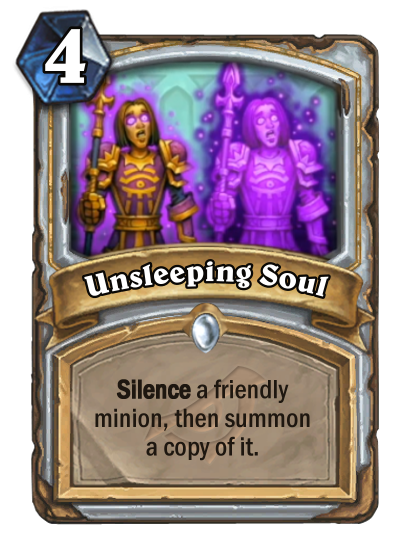 Silence Priest was pretty relevant way back when...at least for a while, and with the new heal support we have a good enough draw engine to just churn out big bois. This cards looks strong with some of the obvious silence targets. I think this card much more stronger in the wild though. Quartz elemental might be playable. 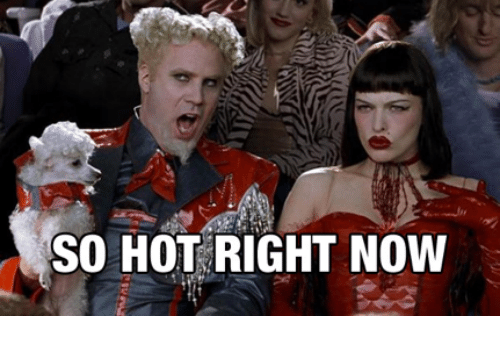 Ok probably not. silence priest is such a boring, uninspired, lame, uncool arechtype. Purify 2.0 incredibly bad card. Does it summon a copy of original minion or the silenced version? Look at the other released cards that go with this... gonna be an archetype right out of the gate. Its a forced synergy, but Ill take it over say spell hunter or rez priest. It has some potential for some big swing silence priest fun. "purify 2" or "this card sux"
pick one. silence priest was a strong meta deck and it played 2 purify.